SEC goes for Kik will it get knifed? In 2017, Canadian-based social-media company Kik sold Kin, a token usable within and outside its native ecosystem. Late last year the SEC kiboshed the kibitzing and now the lawyers have drawn their swords. A Kik or a knife? This case could be fervently important to the unsettled token regulatory environment. The SEC has been flummoxed from the start, making discordant declarations with little firm guidance. Congress tried to step in, but with the nonstop Trump show Republicans and Democrats can’t agree what color the sky is. That leaves the courts. Kik has hired white-shoe fencers in DC and Palo Alto and neither side seems up for compromise. Kik and its foundation isn’t giving back the $100 million from its token sales and the SEC’s enforcement division would have to backtrack on its two-year policy to let Kik slide. There are important questions that at this point only courts could decide. And those answers could profoundly affect America’s future tokenized economy. In its “Wells Submission,” a document kindly asking the SEC to go away. Kik presents itself as a victim of circumstance; diligently following the rules as they were, consulting qualified counsel and tax experts, and not selling Kin where issues could arise. It argues subsequent decentralized Kin use makes it cryptocurrency like Ether and Bitcoin and shields it from the SEC’s watchful eyes. This argument has some obvious flaws. A YouTube video shows Kik’s CEO talking the language of securities, not currencies when discussing Kin with potential investors. Second, Kik initially sold Kin only to accredited investors via a Form D with the SEC, which is what security-selling companies do (or in this case warrants for future securities). It then sold nearly $50M more Kin to the public in what it deemed a Token Distribution Event (TDE). But here it chose not to distribute through a qualified exemption, either Reg CF or Reg A+. Thus it’s hard to square Kik taking the precaution to sell the first $50M under Reg D, which admits it’s a security and then sell the second $50M to the public in an open sale. Finally, Canadian authorities warned them they were selling securities so they didn’t sell there, nor to New Yorkers, or the Chinese. But they did sell in every other U.S. jurisdiction. Ted talks cryptocurrencies or securities? Kik stands much firmer when it discusses the SEC’s atrocious lack of guidance, its scattershot way of disseminating direction, and its ‘policy by enforcement’ policy that kills innovation. Cryptocurrencies (including Bitcoin and Ether) have been gaining adoption for many years. Throughout this period, the Commission did not provide any meaningful, forward-looking guidance about the application of the federal securities laws in this space, nor did it develop a regulatory structure that would make sense for these emerging technologies. As cryptocurrency markets exploded in 2017, the Commission finally spoke on the matter, but even then, the Commission did not give industry participants a clear view of how or when the SEC believed the federal securities laws would apply to sales of cryptocurrencies . . .
Further, law and regulations are supposed to provide clear notice and guidance without necessitating confirmation of compliance by regulatory agencies. In the absence of any clear guidance from the Commission, companies like Kik are under no obligation to present every new idea to the Commission for its blessing. This is their strongest argument. And, there are substantial doubts whether the Staff would have given Kik clear direction, and even if it did, it would take years to receive it as many projects are experiencing. Even more amazing is a quote Kik provides from an SEC staffer implying uncertainty is a benefit because firm Commission guidance via hypotheticals might encourage subterfuge. (Valerie Szczepanik, Address at the ACT-IAC 2018 Blockchain Forum (April 3, 2018)). This is the attitude of someone who’s never run a business. Most entrepreneurs aren’t trying to avoid regulations they are trying to follow the rules so they don’t get a dreaded knock on the door from Ms. Szczepanik. That knock usually means expensive lawyers, capitulation, or shut down. What’s a security? Don’t ask the boss. How much token decentralization will make the SEC back off? Corporate Finance Division Director Bill Hinman stated Ethereum isn’t a security because it’s decentralized ‘enough.’ Hinman is an experienced securities lawyer but not Senate-approved. It was welcome news and a contrary opinion would have killed the token economy in the U.S. But where is the line? How much consumptive use of a token as opposed to passive ‘hodl’ factor into what makes it a security or currency. In United Housing Found., Inc. v. Forman, 421 U.S. 837, 852-853 (1975) the Court concluded no expectation of profits exists where purchasers are primarily led to expect an item for use or consumption. And according to Kik, even if infrastructure building ensures a viable ecosystem, that shouldn’t count as efforts to increase investment value. How does investment for profit versus use as a medium exchange affect how the SEC should view tokens and token ecosystems? How much should we rely on Howey? The SEC and courts have relied on the Howey test since 1946. Is this still the best guide in the token economy? Howey embodies a “flexible rather than a static principle, one that is capable of adaptation to meet the countless and variable schemes devised by those who seek the use of the money of others on the promise of profits.” SEC v. W.J. Howey Co., 328 U.S. 293, 299 (1946). This flexibility may have served a purpose in a different era, the question is should an independent federal agency have this much leeway in deciding the future of the U.S. economy. How much discretion should the SEC have prosecuting nonfraudulent cases? Everybody recognizes the devastating affect an SEC investigation can have on a business. Even if the company wins it can take years and cost millions. No one has yet claimed Kik misled or defrauded them into purchasing Kin. Should the SEC be able to destroy a company unwilling to settle where no actual harm has occurred? These questions need answers and faster than the SEC or Congress is providing them. Courts are not exactly paragons of efficiency, but their decisions provide concrete answers (after appeals). Further, courts have less turf-protecting or political motivations in finding answers. 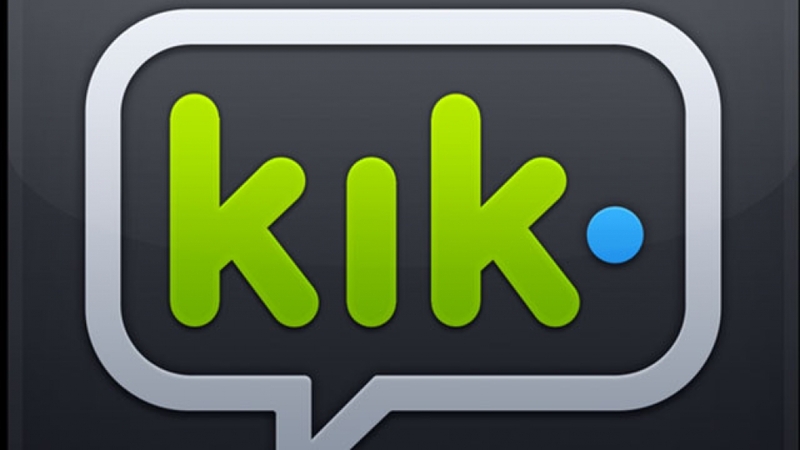 Kik may be case that kikstarts this long-needed process.